No Halloween celebration is complete without the presence of any decorative crafts. Spooky and scary crafts are prepared and arranged in the home and outdoors. 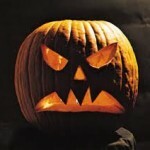 Jack o’ lanterns or carved pumpkins are one of the most prominent Halloween crafts. The outer surface of these crafts are made spooky by carving features of ghosts and monsters. They are more enhanced in nights or in dark simply by using various illumination accessories. Read on to know how to lighten your Halloween jack o’ lanterns. Traditionally, candles are used to decorate as well as lighten the jack o’ lanterns. Lighted candles placed in candle holders are the best classical ways to illuminate the pumpkin. Various sizes of candles and candle holders can be selected based on the size of the pumpkin you use. However, when using candles, be careful and do not leave the lit candle unsupervised. As you often need to be check with the candle light, other alternatives such as glow sticks are used to lighten the jack o’ lanterns. As you know, glow sticks are so simple to use. Just activate the glow stick and place it inside the hollow carved pumpkin. It glows for a long time for about eight to 10 hours. As orange glow sticks are more apt for Halloween celebrations, consider keeping them inside the pumpkins to show up the Halloween effect. There is no need to bother about any sort of supervision as the glow sticks continues to glow once activated. Based on the size of the pumpkin you use, use different sizes of glow sticks for better illumination in dark. Apart from candles and glow sticks, flashing batteries are used these days which are so simple and easy to use. Consider choosing any of these various options to lighten your Halloween jack o’ lanterns.